Summary: We review a recent report from Deloitte on digital banking and explain how the findings can help your community bank. Celent reviewed how people preferred to engage and interact with banks in 2018. The findings were: when the topic is lengthy, 77% prefer to visit a branch, while 17% would call a contact center. However, if the topic is quick, people would rather call a contact center (53%), go to a branch (27%), or use text chat (17%). Age differences can be stark though, so look closely at facts and circumstances of your own situation and customers. 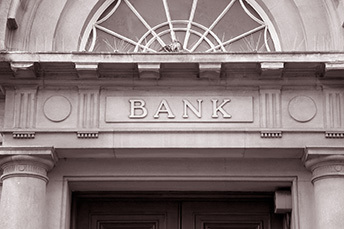 Just as there are significant differences between the individuals that use community banks, there should be differences in the ways that banks cater to various groups of customers. To begin, you might want to consider the latest findings from the Deloitte Center for Financial Services on Digital Banking. Deloitte examined why consumers believe banks are falling short vs. disruptive competitors and what banks can do. Deloitte looked at a variety of bank access points and factors, such as how often people used mobile banking apps, ATMs, online services or bank branches. They also looked at which banking services people preferred. They found banking customers fall into one of three groups. We outline those below along with things you can do to stay competitive in each one. Traditionalists - These individuals do the majority of their banking in person or through ATMs and use minimal digital services, if they use them at all. In the study, this group represented 28% of bank customers. Interestingly, one thing that has kept people within this group from utilizing digital banking channels is a simple lack of understanding of such services. To foster these relationships, you may want to offer to demonstrate such services and help them get some hands-on experience. This way you have a good idea when they are ready to convert. Online Embracers - This is the largest group, representing 43% of bank customers. These individuals prefer online access to their banks over mobile apps, though they do use both. They typically access their banks online at least 10x or more per month. Here, you may want to align your mobile offers closely with your online offerings, as people within this group tend to view mobile services as more limited. Or, simply ensure your online offerings remain easy to use. Digital Adventurers - This group mainly includes millennials, and it comprises 28% of bank customers. They use only online and mobile access to their banks, preferring the latter. Though customers within this group own many banking products, they are particularly active users of person-to-person payments, and are the most likely to utilize mobile channels for things such as opening checking accounts or even applying for loans. What is probably most surprising is that of all three groups, they are the most devoted to their banks and most likely to recommend their bank to their friends. Knowing this, it would be worthwhile to take a closer look at this group within your own community. When it comes to engaging customers in all three groups, you will want to think about your community first and foremost. You know best if you have a greater number of traditionalists or fewer online embracers. For additional tips on the 24-7 personal touch for all customers, you may want to review our article from Tuesday. The ABA reported FinCEN is aware of a fake email asserting to be from a financial institution relative to the 314(b) Information Sharing Program. It states: "We've got suspicions transfer from your client, and put it on hold. According section 314(b) of the USA PATRIOT Act we have to report you about potential money laundering. Please review the attached document with details of this case." If you receive this email, do not click on any attachments and disregard. For more information, visit FinCEN's Secure Information Sharing System (SISS). According to the University of North Carolina at Charlotte, the number of hours spent weekly in meetings by the average executive is 23. California just passed a board diversity law that other states, such as IL, NJ, MA and WA are copying. The CA law requires all publicly traded companies with "principal executive offices" in the state to have at least 1 female director by the end of 2019 and 2 by the end of 2021 (if a 5 member board or 3 if a 6+ member board). In the largest US bank merger since the financial crisis, SunTrust Bank ($216B, GA) will merge into BB&T ($226B, NC) for about $66B in stock (100%). Under the deal, BB&T shareholders will own 57% and SunTrust shareholders will own 43% of the combined entity. The combination creates the 8th largest US bank.